The Institute of Medicine Report on Relieving Pain in America in 2011 estimates that 100 million Americans suffer from chronic pain. Over the last 15 years, the primary reliance on and excessive use of opiate medications has created a serious medical crisis. From 1999 to 2013, the use of opiate medication has quadrupled in the United States without improvement in quality of life, general health measures, disability, or pain management. At the same time, rates of prescription opiate overdose and fatalities has sky rocketed to levels out numbering deaths by car accidents or gunshot wounds. A smaller but still significant number of deaths from heroin related overdoses have occurred in which prescription opiate medication was the gateway drug to heroin addiction. These are not the city addicts of old, but our neighbors and friends, their family members or the person down the block. Opiate related death seems to touch everyone these days. The United States, 5% of the world population, uses 80% of the world’s supply of opiates. Unfortunately, clinicians’ aggressive treatment and compassionate care has not resulted in the kinds of outcomes patients, clinicians, and society expects. The Centers for Disease Control and Prevention call the situation an epidemic. During the same time frame, the scientific literature has clearly documented that interdisciplinary pain management (multiple specialties in the same clinic) has the strongest evidence for efficacy, cost-effectiveness, and lack of iatrogenic complications. Since 1999, the number of such programs in the US has dropped from over 1000 to an estimate of 150 by 2012. 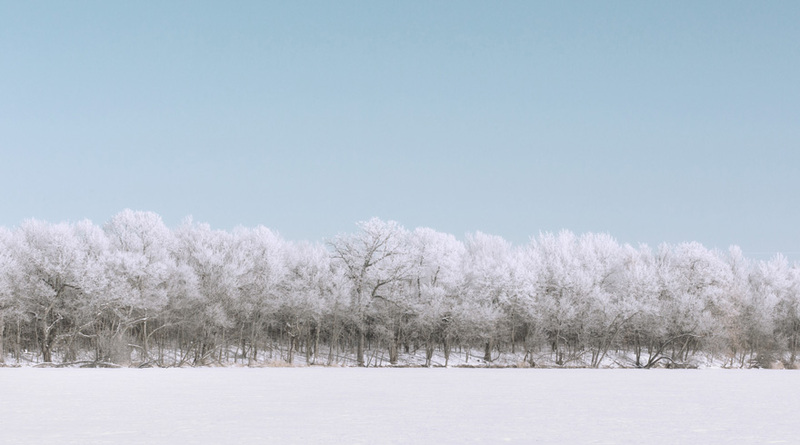 Standing back looking at the forest versus feeling lost in the trees suggests that chronic pain is over-treated, undertreated, and mistreated at the same time. We can do better. While we could debate how to interpret this information for clinical practice, the alarming number of opioid overdoses have trumped the discussion and prompted significant policy changes. Integrated pain programs are starting to return fueled by a crisis of pain, suffering, and death. The importance and value of non-pharmacological pain management strategies has never been more significant than at this time. Having a credible scientifically based alternative to polypharmacy, implantable devices, injections, and opiate medications is critical to help improve outcomes, enhance healing, and reduce the opiate crisis. So, what do chronic pain, opiate over-reliance or dependence and hypnosis have in common? Everything! In approximately three months at the Spring Workshop, Mark Jensen, PhD, will join our local community to talk about pain and hypnosis. Mark is a nationally recognized expert on the clinical use of hypnosis for pain control and the underlying neurobiology of pain and hypnosis. Hypnosis is now recognized as one treatment that has the potential to reverse the neuroplastic changes found in the brain in chronic pain suffers. I invite you to plan now to attend the Spring Workshop as an opportunity to enhance your skills, discover new options for patients and grow a little yourself to help our community more effectively deal with this crisis and epidemic. And, of course, bring a friend! Prior to our December, 2015, MSCH Board meeting I wrote a version of the following to our MSCH Board of Directors, which I now wish to share with all of our MSCH Membership. It is with sadness, and also a profound degree of satisfaction and pride, a sense of immense relief, and a hope for, and comfortable confidence in, the future of MSCH that I’ve decided that this 30th year as Director of Education and Training for MSCH will be my last year in this role. I’m not big on surprises, and we have all learned in recent years how challenging and difficult abrupt change and uncertainty can be for us individually and organizationally. That said, I did not wish to just “announce” this at our forthcoming June 2-4, 2016 Workshop, but opted instead to inform the Board in November, and now to include my comments in this issue of IMAGES. I am confident and reassured that there is more than adequate time to make decisions and plans to maintain and advance MSCH’s reputation for, and commitment to, a high standard of continuing education in Clinical Hypnosis. I will remain on the Board as Director of Education and Training through the end of this 2015-2016 year, i.e. through the end of our 45th Annual Workshop, June 2-4, 2016. The 2015-2016 schedule is, as you know, solidly in place, including the first Shep Myers Memorial Workshop with Rabbi Amy Eilberg on Sunday April 17; and our Sunday, October 9, 2016 Rosenthal Retreat (with Dr. Laurence Sugarman of the Rochester Institute of Technology). Planning for the 2016-2017 Educational Calendar is underway, and as usual we expect that programs for 2016-2017 will be announced and distributed at the June Workshop as usual. This is an opportunity for MSCH to continue to grow, innovate, and to perhaps experiment with new models. The Education Committee has begun addressing these considerations. As you might imagine, this has been on my mind for a long time; and I decided to write this now to avoid “surprise announcements” either at the Board meeting or at the June Workshop. 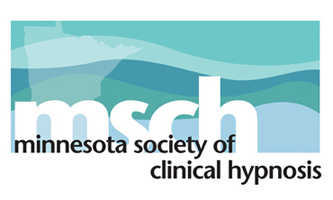 I am looking forward to welcoming you to the 45th Annual MSCH / U of MN Intermediate/Advanced Workshops in Clinical Hypnosis, June 2-4, 2016. Please encourage your friends and colleagues to come to the Introductory Workshop, and MSCH colleagues or others experienced with hypnosis to join you to learn from Mark Jensen, Ph.D. at the Intermediate/Advanced course. The BROCHURE is NOW AVAILABLE at www.cmecourses.umn.edu – scroll down to June 2-4. See you then!! with current and former MSCH board members. L-R: Deborah Simmons, Mary Grove, Dan Kohen, David Wark, and Cheryl Bemel. Here are a few comments from a recent survey of Small Group Leaders. I love teaching small groups. I volunteer because I enjoy it immensely and do not wish to help or give back in any other role. I volunteer because I find it great fun, truly enjoyable. And, I find that my hypnosis skills have improved by being a small group leader. What keeps me coming back to facilitating Intro groups is the opportunity to give back some of that inspiring and nurturing energy that I felt from my Intro facilitators … when I first came to the MSCH workshops. Small group leaders receive a sizable discount (approximately 50%) to the cost of registration for the Intermediate/Advanced Workshop when they facilitate two small groups, and they receive DVDs of any missed segments of the Intermediate/Advanced Workshop. They are considered full members of the faculty and are listed as such on the workshop flyer. Along with other faculty members, small group leaders are invited to a pre-workshop dinner and a post-workshop party. Roni or Bev will communicate with each volunteer to find out which Fridays work for everyone. Please contact Roni at racorn@visi.com if you have questions or to volunteer. Join other MSCH members on May 22. 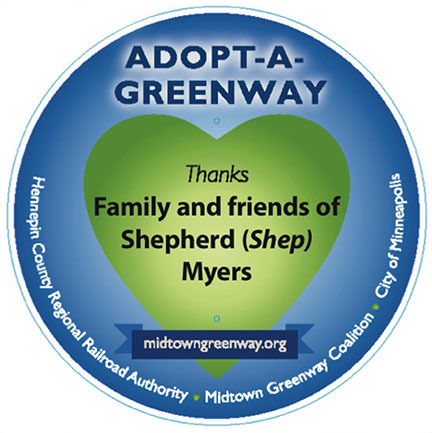 As you may recall from our last newsletter, Shep’s family has “adopted” a section of the Greenway Bike Trail in memory of Shep. His wife, Deb Dornfeld, has let us know that dates for two 2016 clean ups have been set: Sundays, May 22 (his birthday was the 23rd) and October 2. Clean up will take place between noon and 3:00 PM, although Deb thinks there may not be that much to clean up. There will be a gathering spot and snacks in Brackett Park where folks can hang out. The section of the Greenway Trail “adopted” by the family and friends of Shep runs between 31st and 36th Avenues in South Minneapolis, terminating on the eastern end at the western edge of Brackett Park. The bike trail is on a former railroad bed between 27th and 28th Streets. Here’s a draft of the sign that will be installed on the Greenway. If you would like to be on an email list to be reminded about the May 22 clean up date as it gets closer, contact Cheryl Bemel at c.bemel@comcast.net. You are encouraged to nominate a fellow MSCH member for the Annual Awards in Clinical Hypnosis. It only takes a few minutes. Recipients are announced and honored at the June Workshop. I suspect that most recipients would say that receiving one of these awards has been a career highlight. Who comes to mind for you as an outstanding teacher or an outstanding clinician? The Board welcomes your recommendations. There have been times when we have not received nominations, which is a shame. Members can only receive the award once and current board members are excluded from nomination. The Daniel P. Kohen Award honors an outstanding clinician. The David M. Wark Award honors an outstanding teacher. To make a nomination, please contact Deb Schrobilgen (mschsecretary@gmail.com) and include a paragraph or two about why you are recommending a member for this honor. Established 6/5/2004 – 1st Awardee: Daniel P. Kohen, M.D. Established 6/5/2004 – 1st Awardee: David M. Wark, Ph.D.
Reconnecting to Generative Trance: Practicing the work of Stephen Gilligan. The November workshop for MSCH was a follow-up or maybe more accurately an “add-on” workshop to the 2015 Annual Workshops in Clinical Hypnosis. David Alter, PhD, LP, offered us another opportunity to learn about, discuss and practice “Generative Trance” developed by Stephan Gilligan, PhD, who was the main presenter at the Intermediate/Advanced Workshop this past June. 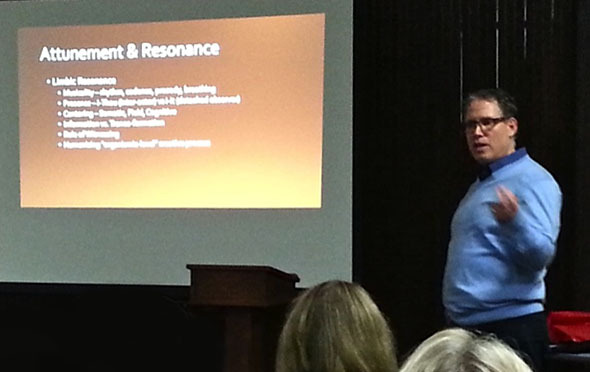 Our presenter, David Alter, engages with the audience at the November workshop. Dr. Alter began the evening’s experience by asking what we remembered about Generative Trance and how we may have incorporated the concepts and exercises presented in June in our practice since then. Not surprisingly, a number of the participants struggled to remember the exercises although some have made changes in practice based on the concepts. We then reviewed some basic ideas of Generative Trance and how it helps to get beyond symptoms and diagnosis (labeling) in order to engage a client on a deeper level. During each part of the evening we talked about what to do with our patients and then broke into dyads and practiced the skills and concepts just discussed. Dr. Alter discussed the levels of client engagement and how Generative Trance transcends labels in order to achieve a deeper sense of self and to utilize innate resources for problem solving and life fulfillment. Through practicing aspects of Generative Trance we were allowed opportunities to experience the levels of engagement and to discuss our experiences with others in the field. Dr. Alter has an engaging style of teaching as he weaves an image of work with patients and experiences in his own life and practice that are calming and hypnotic. He used video from Dr. Gillian’s presentation in June to help illustrate his thoughts and to add to the experience during the evening’s workshop. Since that evening, I have noticed that I have begun to experience my patients in a new and different manner. I see each through a generative filter to see and experience each beyond the label given at our first meeting. It hasn’t been a very big change but it is a start and I am excited to learn more about Generative Trance. 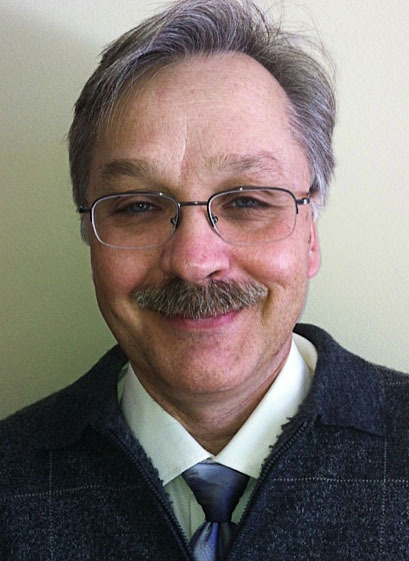 Mark Fastner is a Licensed Psychologist in practice with Regions Hospital outpatient clinic in Woodbury. 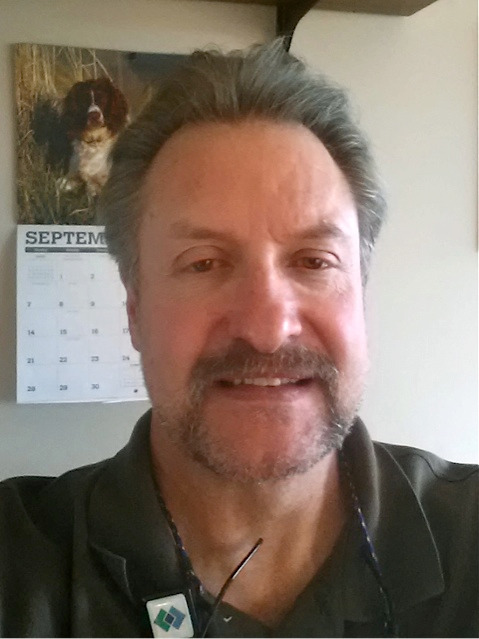 He has been a member of MSCH since 1995 and has served on the MSCH Board of Directors as IMAGES Editor, and Webmaster. Recovery of Hope and Faith in the Face of Loss. Utilization in Every Day Encounters. 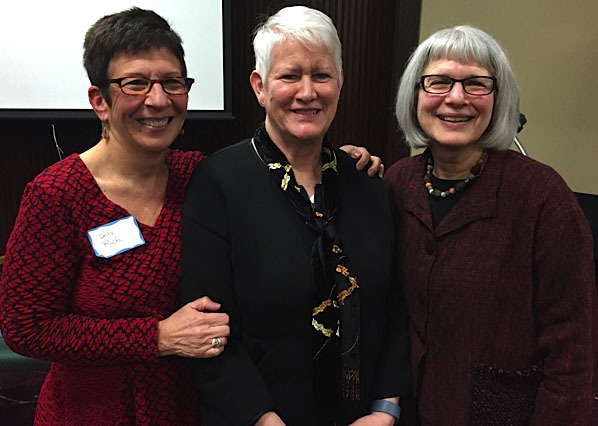 Our presenters, L-R, Deb Rich, Denise D’Aurora, and Harriet Kohen. I was struck with the information and intensity of what is involved in the area of perinatal bereavement, presented by Deb Rich. Involved in the psychology of grieving parents is a relational developmental process starting from the time of discovery that the woman is pregnant. Issues of attending to the grief of having a stillborn baby as well as what occurs for the mother experiencing a miscarriage were all covered in depth. Deb brought home the human depth of these experiences with two videos that demonstrated vividly what this can look and feel like in real life. If I understood a point Deb made, what exists today is more of a medicalization of death within the context of these birth issues. As therapists we can participate with these parents in humanizing the process to assist their emotional and psychological healing. “You are the safe anchor so they can go through their story.” Deb described guiding grieving parents in a story telling mode, which can be a natural induction since the client often goes into trance spontaneously. Deb summarized her presentation by identifying four tasks of mourning which lead to integration, and the primary focus of goals in that process. I was completely engulfed in Deb’s presentation. I believe that for many of us it was quite intense, as we relate so deeply in our hearts with the potential of new life and the depth of the parenting attachment. I was disappointed that there was not actual teaching of the use of hypnosis or more identified resources with the issues of grief and loss. I became very curious as to how hypnosis might be facilitated and at what stages of grief trance would be most helpful. I believe we need to continue to explore this subject using the skills we have, as we may be seeing more loss and grief in our offices as a result of the current aging population. Please note that the workshop that had been planned for March 19 has had to be cancelled. Our next offering will be in April. This all-day workshop will offer a spacious opportunity to explore the role of spiritual practice in the lives of people in need of healing – our patients and ourselves. We will consider elements of spiritual wisdom that may be helpful in a healing journey, reflecting individually and in groups on how these values and perspectives have been present in our own personal and professional lives. We will then delve into the role of Buddhist metta/lovingkindness practice as part of a healing journey for ourselves and for others. Rabbi Amy Eilberg is the first woman ordained as a Conservative rabbi by the Jewish Theological Seminary of America. 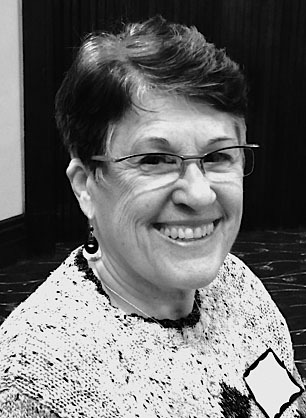 She serves as the director of the Pardes Rodef Shalom (Pursuer of Peace) Communities Program, helping synagogues and Jewish organizations place the pursuit of peace in interpersonal relationships at the center of their communal mission. Rabbi Eilberg also serves as a spiritual director, leads interfaith dialogue programs in Minneapolis/St. Paul, MN, and teaches at United Theological Seminary of the Twin Cities. Her book, From Enemy to Friend: Jewish Wisdom and the Pursuit of Peace, was published by Orbis Books in March 2014. Rabbi Eilberg also has a clinical M.S.W. and many years of experience offering spiritual care in both acute care and hospice contexts.